Beautiful! I found your link up through Lilaloa and came to check out your dresses. I've been trying to brain storm what cookies to make myself and was thinking a similar direction (along with a bunch of other ideas! so who knows!). The one with all the ruffles is awesome! such a work of patience and detail! Thanks Sarah. Yes, it does take a lot of patience. It's something I enjoy to do. It's my escape. Your cookies are just beautiful. 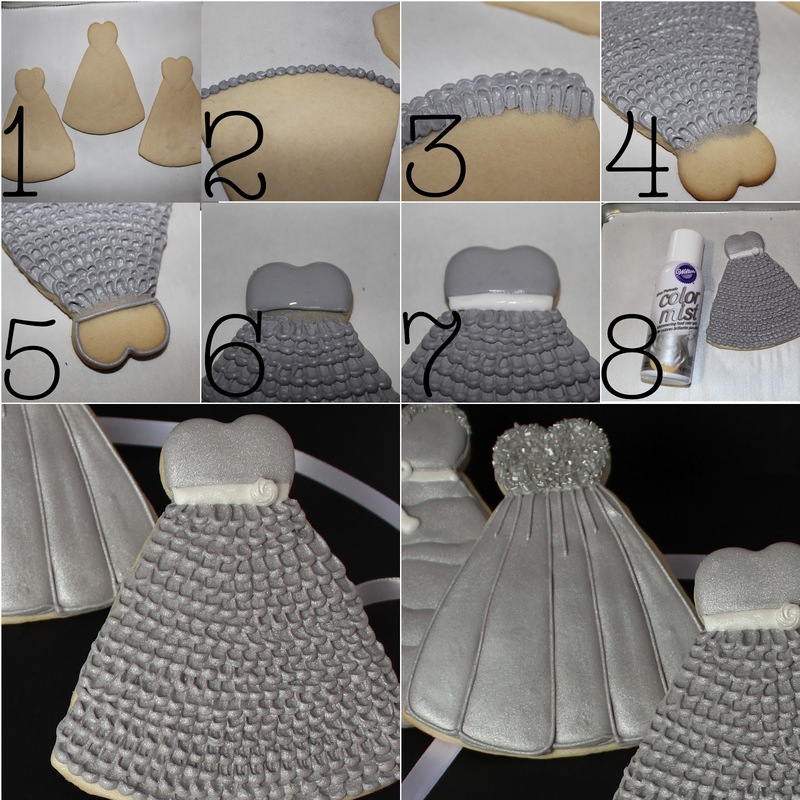 I have recently gotten into the blogging scene and always wanted to decorate cookies like this. I tried one time and they so DID NOT come out like I wanted. My icing fell off the cookies and just didn't flow. You give me motivation to try again. Thank you so much for sharing your knowledge. Thanks Kim. You should start decorating cookies again. My first cookies and many after didn't always turn out so well. Even now sometimes they don't come out good. Icing consistency is key. If the icing fell off the cookie then it was not thick enough. With practice you will find the consistency that works best for you. Thanks Cristin. I loved my "me" time. Now I'm just trying to balance my time between all the things I love. Those are just fantastic! Lovely details and textures suggested by the decorating techniques. Just love them! Wow congratulations on your 6th baby!! Hat's what being a hero is all aboout isn't it?! I' struggling to get back to normal woth only two :) thank you for the inspiration!